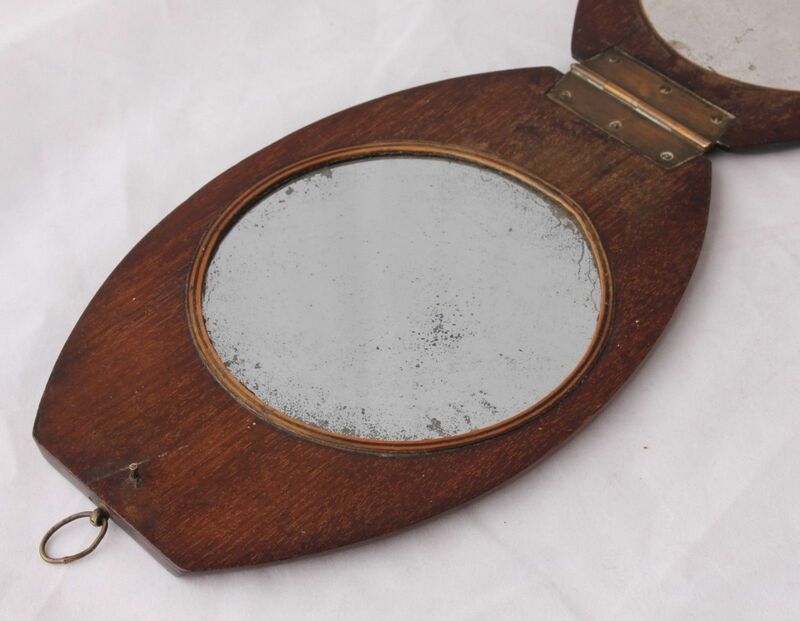 This wonderful antique travelling campaign mirror dates from the early to mid 19th century, is made of a lovely rich mahogany with boxwood stringing and is in nice original condition. 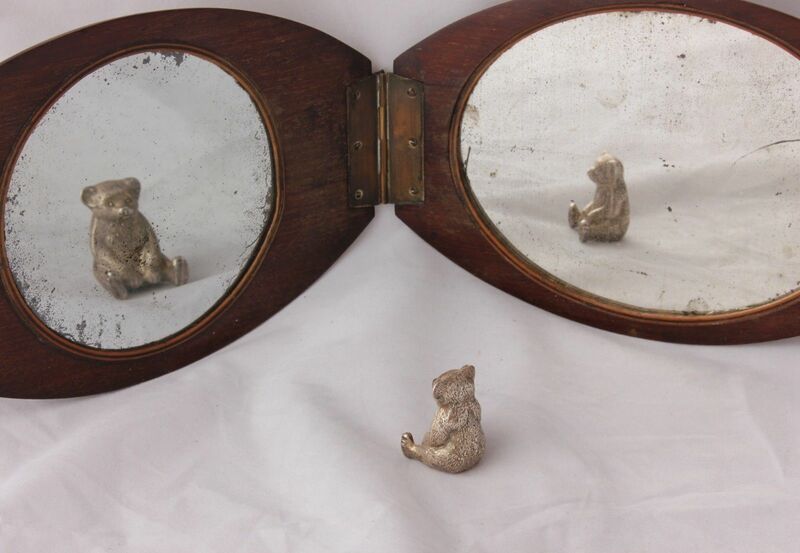 There are two mirrors, one which is a magnifying mirror and the other is a standard mirror. 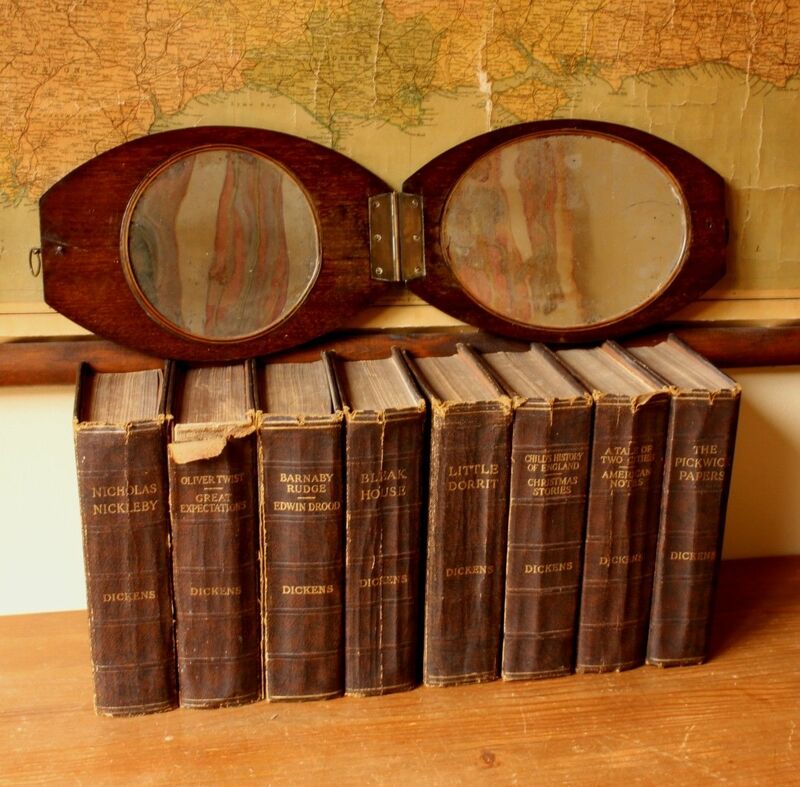 Both mirrors are slightly distressed / foxed which gives an attractive look. 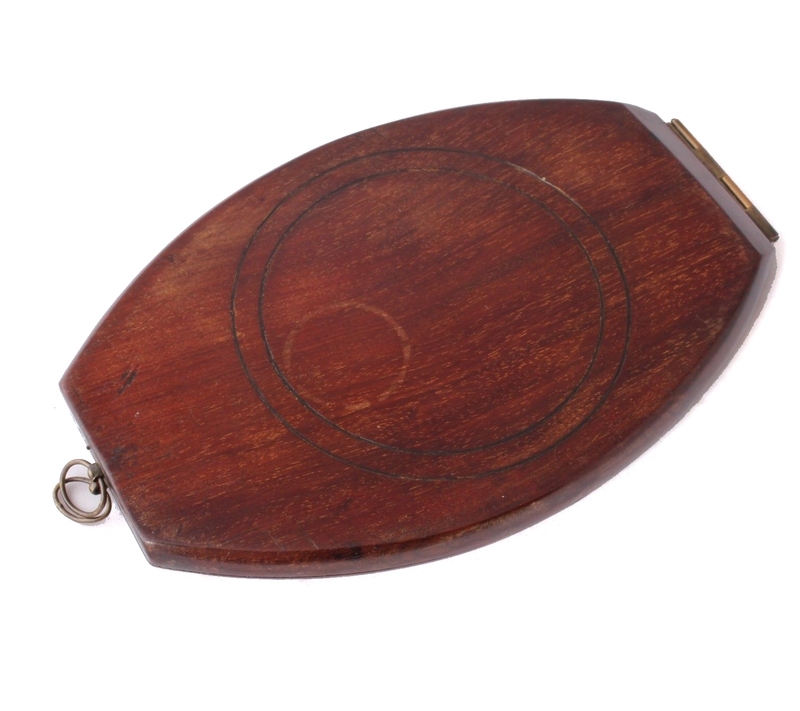 The mirror can be hung from one of the brass rings or folded back on itself to sit on a table. 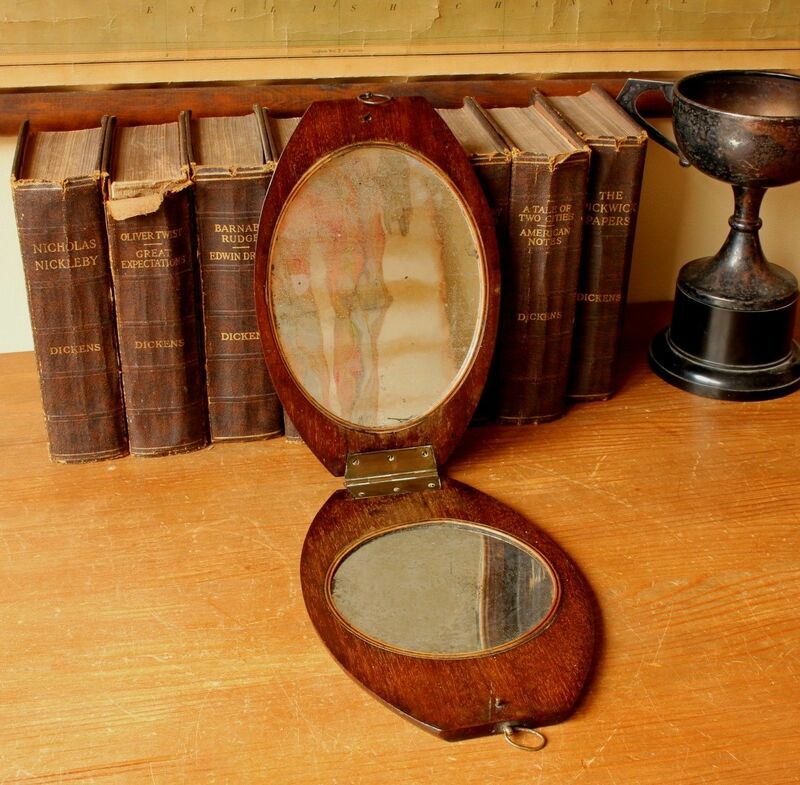 This beautiful folding campaign mirror would have been used by a high ranking military officer as a shaving mirror and folds for travel. 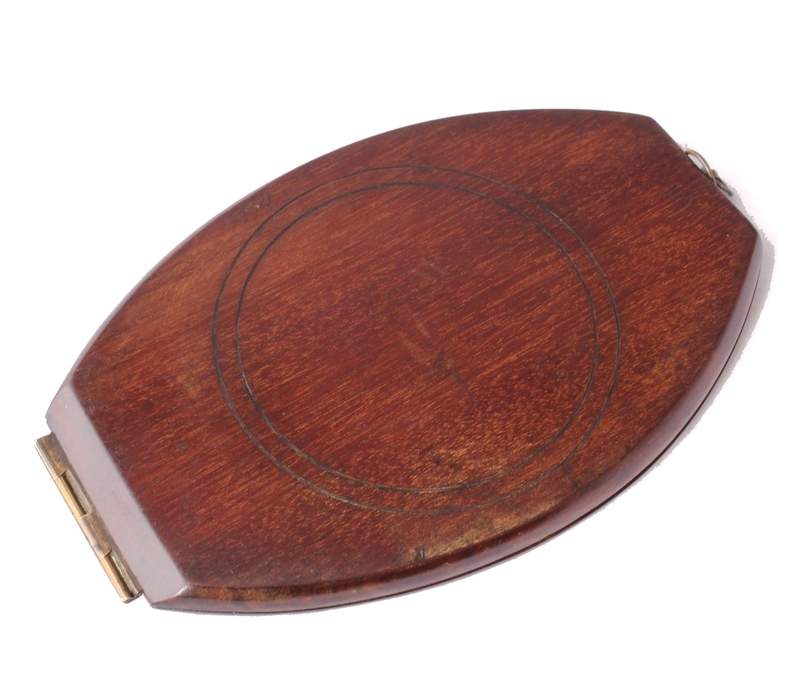 This unusual item looks fantastic on display and is a wonderful collector's piece. Height when open: 43 cm (17") approx. Height when folded: 21.5 cm (8 1/2") approx. Width: 13.5 cm (5 1/4") approx. Condition: Very good used antique condition with light signs of use in keeping with age. Some scuffs and marks with a wonderful patina and colour. Mirror glass has silvering / foxing and light marks giving an attractive distressed look. Please see pictures.